Complex integrated circuit (IC) designs don’t always need complex rule checks. 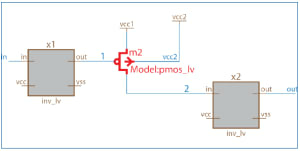 Multiple voltages and power domains do require engineers to understand and protect interactions at the transistor level. Matthew Hogan is a product marketing manager at Mentor Graphics with over 20 years of experience in the industry. He has also served as a Member of the Board of Directors at the EOS/ESD Association, and as a senior application engineer at Mentor Technologies. Complete the form on this page to download your free white paper. This download is sponsored by Mentor Graphics.